Edinburgh Photonics is the name you turn to when you want to unlock the secrets of the most demanding applications in optical spectroscopy. 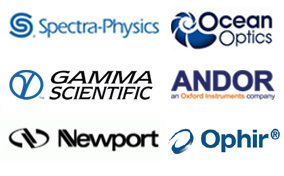 Our experience and expertise in instrumentation for fluorescence spectroscopy and laser flash photolysis spectroscopy is second to none, spanning decades with almost 1000 systems installed in universities and leading research laboratories worldwide. Edinburgh Instruments design and manufacture steady state fluorescence spectrometers, dedicated fluorescence lifetime spectrometers, combined steady state and lifetime spectrometers and laser flash photolysis spectrometers. 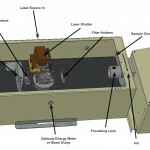 We are leading in sensitivity specifications by detecting at the photon level, we have pioneered the technique of Time Correlated Single Photon Counting (TCSPC) in time resolved fluorescence spectroscopy and use multi-channel scaling (MCS) techniques to measure phosphorescence lifetimes at the quantum level. With a variety of detector and light source options we cover wavelengths from the VUV to the NIR. 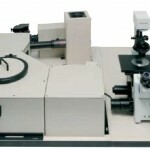 The FLS980 supplied by Edinburgh Photonics is the successor to the popular FLS920 Series of fluorescence spectrometers from Edinburgh Instruments. 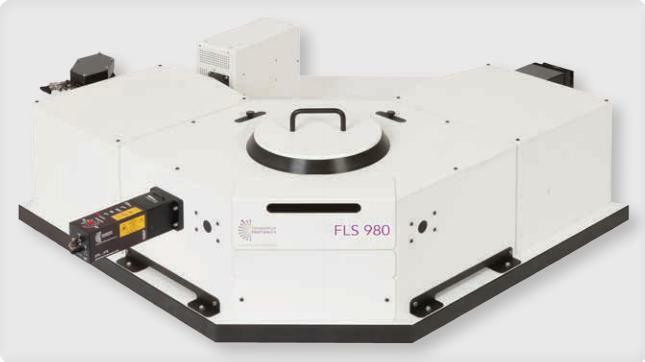 The FLS980 is a fully automated, modular and flexible fluorescence spectrometer for both fundamental research and routine laboratory applications. 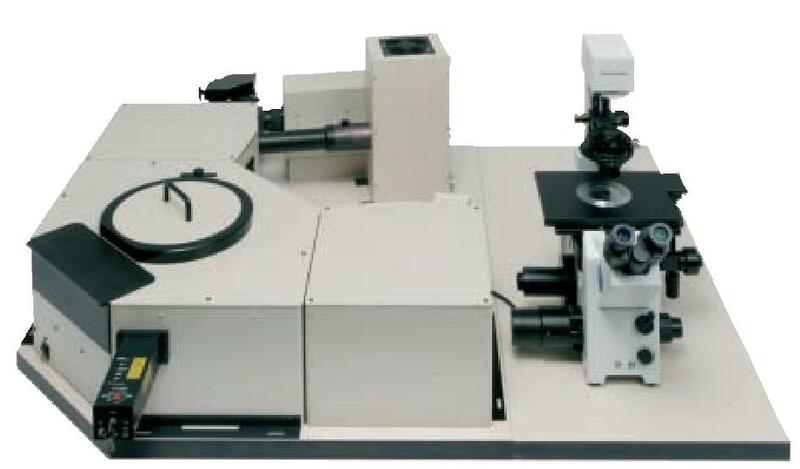 Its high accuracy and sensitivity is designed to set the standards for technical performance in luminescence spectroscopy. The FLS980 can be customised and its flexibility enables you to integrate accessories and upgrades according to your requirements. 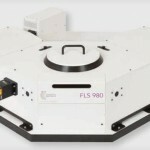 Whether you are studying photophysics, photochemistry, biophysics, biochemistry or semiconductor physics, the FLS980 will enable you to reliably and accurately measure luminescence in either steady state and/or lifetime modes, while its large sample chamber can house a variety of sample holders and accessories. Enhanced sensitivity of the FLS980 for spectral measurements is a prerequisite for measurements of low sample concentrations and small sample volumes. The FLS980 is unbeaten with 12000:1 Water Raman SNR. The FLS980 has a USB interface and all modes of operation are controlled by ONE data acquisition module, there is no need to reconfigure or reconnect cables EVEN FOR complex configurations. Our advanced software both controls the instrument and contains routines for analysis. You can design your experiment from your desktop, watch your profiles build live on screen and then comprehensively manipulate and analyse your data. The FLS920 is a fully automated, flexible fluorescence spectrometer for both fundamental research and routine laboratory applications which sets the state of the art standard for high accuracy and sensitivity. Whether you are studying photophysics, photochemistry, biophysics, biochemistry or semiconductor physics, the FLS920 will enable you to reliably and accurately measure luminescence in either steady state or lifetime modes. A wide range of digital and analogue detectors allow you to choose your spectral coverage. 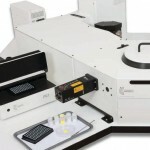 Additionally, the FLS920 has a large sample chamber that can house a variety of sample holders and accessories. Our advanced software both controls the instrument and allows analysis enabling you to design your experiment from your desktop, watch your profiles build live on screen and comprehensively manipulate and analyse data. The FLS920 can be configured to include one, two or three operational modes. The available options are a steady state module, a time-correlated single-photon counting (TCSPC) module for lifetimes between 10ps – 50µs and a multi-channel scaling (MCS) module for lifetimes between 400ns – 10s. Fluorescence lifetimes are typically measured by TCSPC, whereas phosphorescence lifetimes are typically measured by the MCS. Previous and existing users of the FLS920 series will recognise the initial pre-fix for our products. These products have subsequently brought under the family names FLS920 Series. Below you will find a key that represents the new FLS920 series with the previous product name shown in brackets. 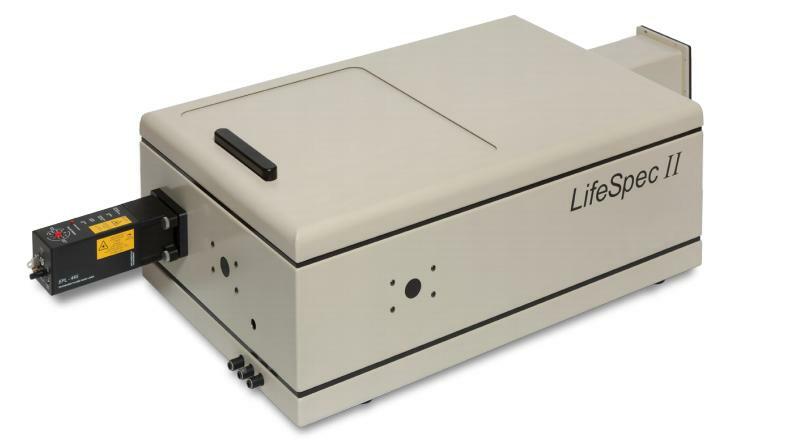 The LifeSpec II is a compact, fully integrated, high performance fluorescence lifetime spectrometer designed for use with high-repetition rate pulsed femtosecond and picosecond lasers. The system is a fully automated solution, combining hardware and software in a single package for fundamental research and routine laboratory applications. 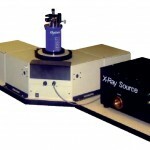 The system’s zero temporal dispersion optics set the standards for technical performance in measuring ultra-fast decays. 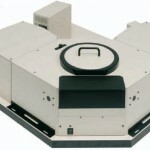 The LifeSpec II is compatible with Time Correlated Single Photon Counting (TCSPC) techniques and enables digital counting to reduce background noise, real-time direct measurement and observation and the extraction of long and short-lifetimes with large and small amplitudes from a single measurement. 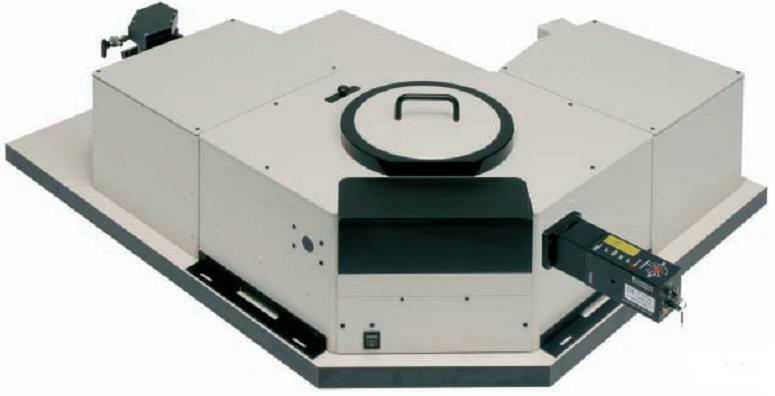 The LifeSpec II features a temporally subtractive double monochromator. This provides spectral resolution, while at the same time eliminates the effect of temporal dispersion which prohibit accurate lifetime measurements in the lower picosecond time range. Our advanced software both controls the instrument and allows ultrafast data acquisition and analysis that lets you to watch your profiles build live on screen and comprehensively manipulate and analyse data across the UV/Vis/NIR spectral range. Data acquisition modes range from fluorescence decay and time-resolved spectra through to automated time-resolved anisotropy measurements and temperature maps. The shortest measureable lifetime is dependent on the speed of the detector and on the pulse width of the light source. By applying numerical reconvolution, lifetimes as short as 1/10th of the system’s instrumental response function can be extracted from the data, allowing the LifeSpec II to cover the range from 5ps – 50µs. The LifeSpec II in the standard configuration is supplied with one detector. A configuration with two detectors can be specified on purchase. The LifeSpec II requires at least one picosecond pulsed diode laser, pulsed LED or Ti:Sapphire laser (with suitable pulse picker) for operation. The system is height adjustable so that the optical plane can be set between 130mm – 180mm. 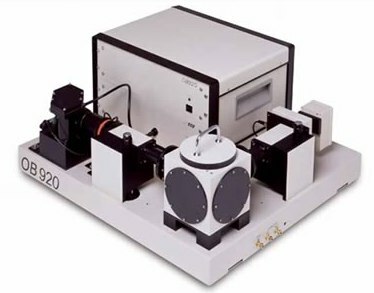 The OB920 is a compact, computer controlled spectrometer that uses time-correlated single photon counting (TCSPC) and multi-channel scaling (MCS) techniques to facilitate reliable and accurate measurement of fluorescence and phosphorescence decays. Whether you’re studying chemical or biological species the modular construction and flexibility of the OB920 enables you to integrate and customise advanced solutions and upgrades in line with your requirements. Our sophisticated software allows automatic acquisition of measurements removing the need to make any manual mechanical adjustments. The software has an easy-to-use graphical user interface that enables users to easily and comprehensively manipulate data and perform analysis on time-resolved spectra and luminescence decays. The OB920 is a modular system that enables users to measure fluorescence and/or phosphorescence from 100ps to 10s, depending on the users’ requirements. The OB920 is available in three configurations – fluorescence lifetime measurements (OB920-t), phosphorescence lifetime measurements (OB920-m) and combined (OB920-tm) for both fluorescence and phosphorescence lifetime measurements. 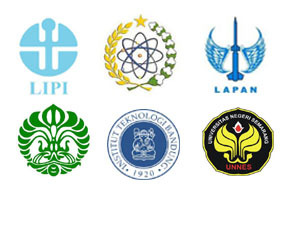 We make and supply spectrometers designed familiarise students with the principles of fluorescence lifetime spectroscopy and in particular time correlated single photon counting (TCSPC). 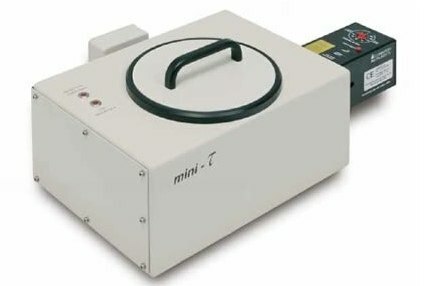 The mini-τ can provide an insight into the techniques of fluorescence lifetimes and time-resolved fluorescence anisotropy. It allows you to introduce TCSPC, to your students, as a simple, fast and straight forward data acquisition technology. Our T900 advanced software has an easy-to-use graphical user interface that enables students to take measurements easily and watch their profiles build live on screen. The students are able to discover specifics about the micro-environment of their dyes through the use of the T900 analysis routines, which enable the students to extract the relevant information from their measurements and comprehensively manipulate their data. The utilisation of fluorescence lifetime parameters in biological research and assay development is developing fast. 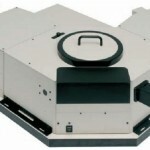 This teaching spectrometer can aid your students to explore novel, highly sensitive and highly selective techniques that they are likely to encounter in their future careers. The mini-τ (Mini-Tau) is an ultra-compact filter based fluorescence lifetime spectrometer. The system is supplied with a computer incorporating our TCC900 plug-in card for fast data acquisition and can recover fluorescence lifetimes between ~50ps and 50us. Utilising comprehensive data analysis software based on the established Marquardt-Levenberg algorithm, the mini-τ can accurately analyse complex decay kinetics with up to 4 lifetimes. 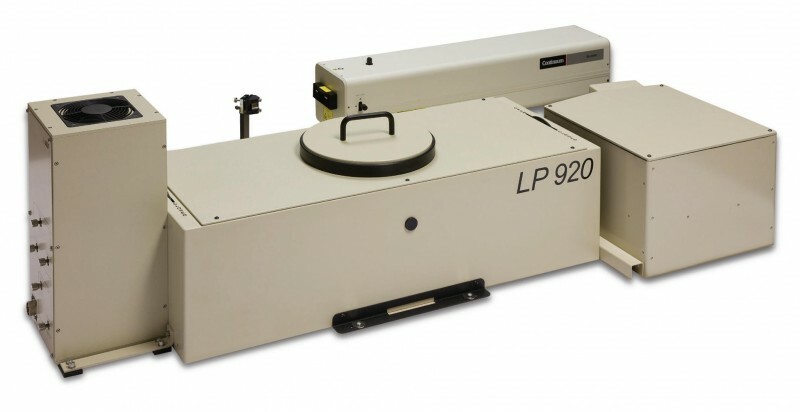 The LP920 is a fully automated turnkey solution designed to set the standards for technical performance in laser flash photolysis for fundamental research and routine laboratory applications. Whether you’re studying chemical or biological species the LP920’s modular construction and flexibility enables you to integrate and customise advanced solutions and upgrades in line with your requirements. 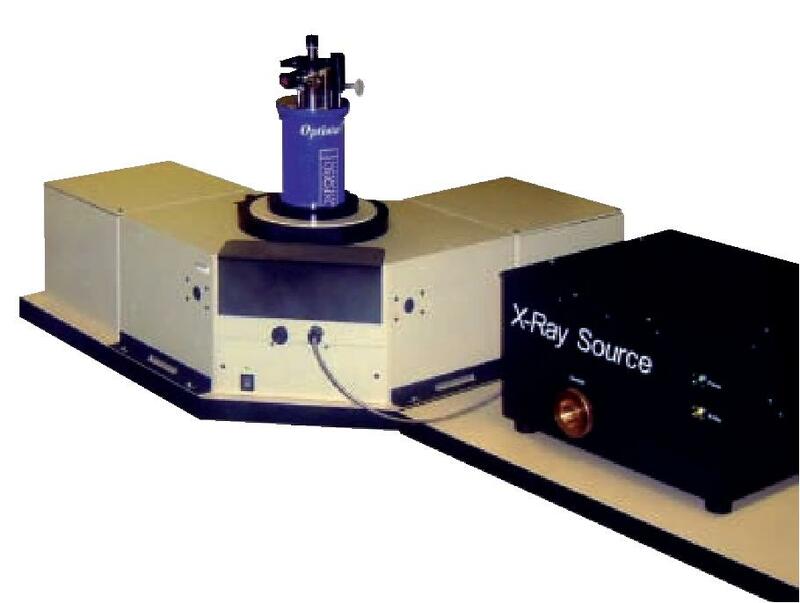 Combined (LP920-KS) for both kinetic and spectral measurements. 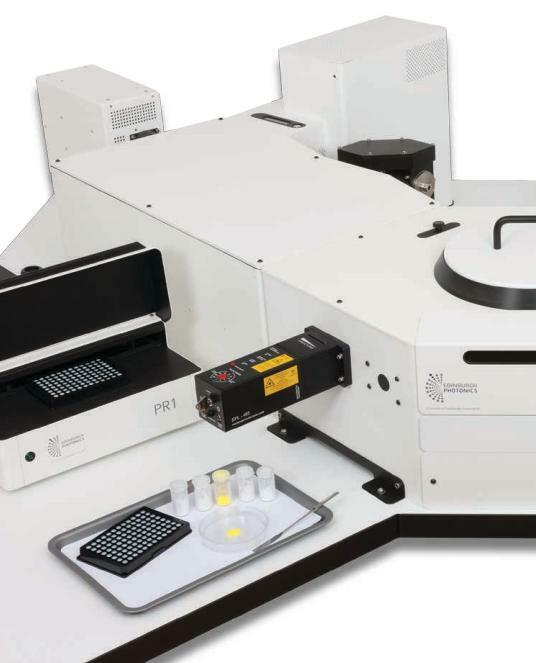 The LP920 enables users to reliably and accurately measure transient absorption either in spectral and/or kinetic mode and has a large sample chamber to house a variety of sample holders. Our tried and tested advanced software is capable of dual mode measurement removing the need to make any manual mechanical adjustments. The software has an easy-to-use graphical user interface that simplifies a users ability to take measurements easily. Users can comprehensively manipulate data and perform analysis routines. The LP920 series of spectrometers use a pulsed, high-intensity 450 W Xenon lamp to increase the measurement sensitivity in short timescales (nanoseconds and microseconds). A lower-intensity, high-stability halogen lamp is optionally available for cw measurements over millisecond and second timescales. 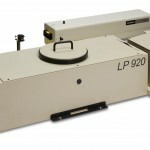 System LP920-K is a single-beam absorption spectrometer for measuring transient kinetics generated by laser excitation. Transverse sample excitation is standard. Co-linear excitation and diffuse reflectance are optional. 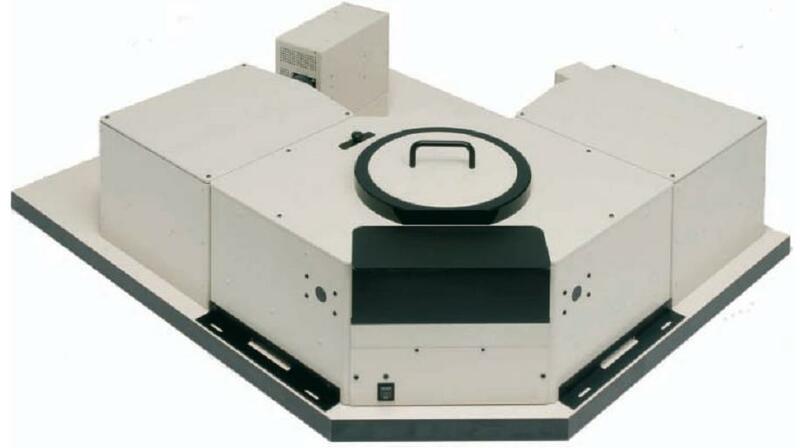 LP920-S is a single-beam absorption spectrometer for recording time-gated transient spectra generated by laser excitation using an integrated ICCD. Transverse sample excitation is standard. Co-linear excitation and diffuse reflectance are optional. Single wavelength Flashlamp pumped Q-switched Nd:Yag laser operating at 1064nm, 532nm, 355nm, or 266nm. Flashlamp pumped Q-switched Nd:Yag laser operating at 1064nm, 532nm, 355nm, or 266nm.